Twelve empty chairs, 12 empty pairs of shoes. 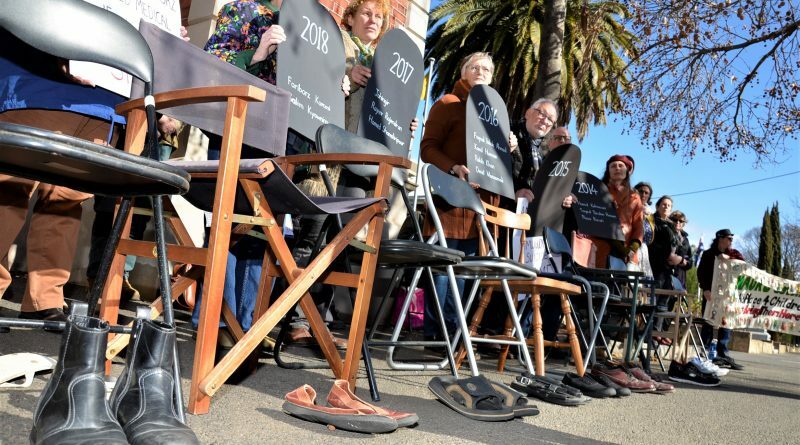 Stark symbols of the deaths of 12 asylum seekers held in detention on Manus and Nauru over the past five years – and in Castlemaine there are many who are outraged and want those deaths to be noticed. 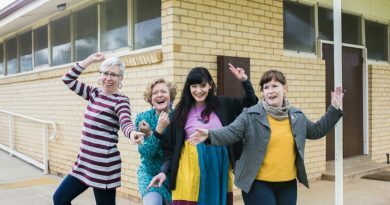 Last Thursday members of Castlemaine Rural Australians for Refugees held a rally aimed at changing the way Australia deals with refugees. 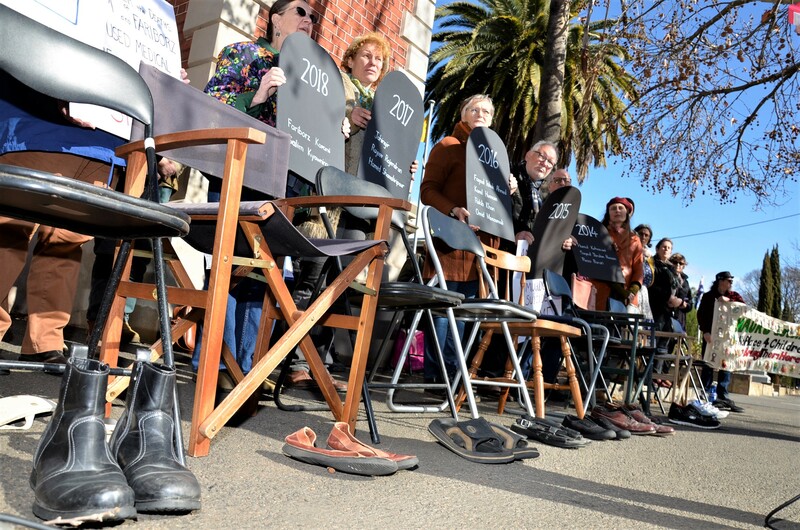 The empty chairs and shoes set up beside the demonstrators at the town’s CBD Market Building were indeed serving to draw attention of passersby. But RAR members like Ellen O’Gallagher hope it won’t just be passers by who get the message. “It’s a nation-wide protest. It marks the fifth anniversary of the statement that no-one arriving by boat will ever be allowed to come to Australia,” Ms O’Gallagher said. “That was Mr Rudd’s decision. Some of the people have been there for the whole of the five years – some longer. “Twelve pairs of shoes, 12 chairs because there are 12 deaths. There were several that were suicides but a lot of them were medical neglect. 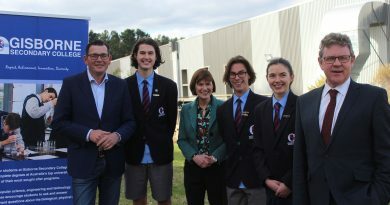 “I would like the people in power in Canberra to see that what they’re doing is wrong. They think the boats have stopped but they haven’t. We saw that last week. It’s immoral what we’re doing to those people. Thursday’s protest featured live song and readings of poetry written by some of the refugees held in detention themselves. Ms O’Gallagher said those who participated in the protest included many who weren’t members of RAR. “A lot of the people here today are people who have just come along,” she said. She urged more to join RAR’s regular 4.30pm Wednesday vigil that’s been held weekly outside the Market Building since the beginning of last year. 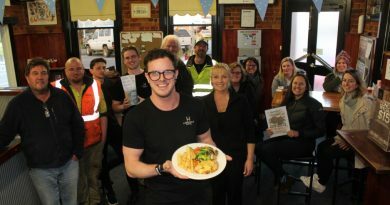 Lancefield Hotel took on the campaign with a strong community backing.